Before converting unit signatures for the Web, please review logo policy on the Identity website. Note: Signature policy states that the provided art must not be modified. In order to split the signature up into parts for linking and hover effects, we must slice it up and create sprites. This is acceptable as long as the finished signature is a visual match to the original file provided. The mu-unit-sig() mixin has a set of variables that can be passed to it to define size, style and printing options. Below are the mixin options. The variables below set the options for the custom unit name image. Every site will have a unique unit name. Images for these are not part of the framework. The markup is required to have classes of unit-sig__logo, unit-sig__unit and unit-sig__wordmark with the elements in that order. This is the art you will have to create from the provided signature file. Custom unit signature art is stored on the university's Box service. To access your unit's art assets, use the button above and login to the shared folder with your Pawprint. If a signature, signature variation or a version with different line breaks isn't in the shared folder, please contact identity@missouri.edu to request one to be made. Open the provided .eps file with Illustrator, and copy the unit name from either the horizontal or vertical version. 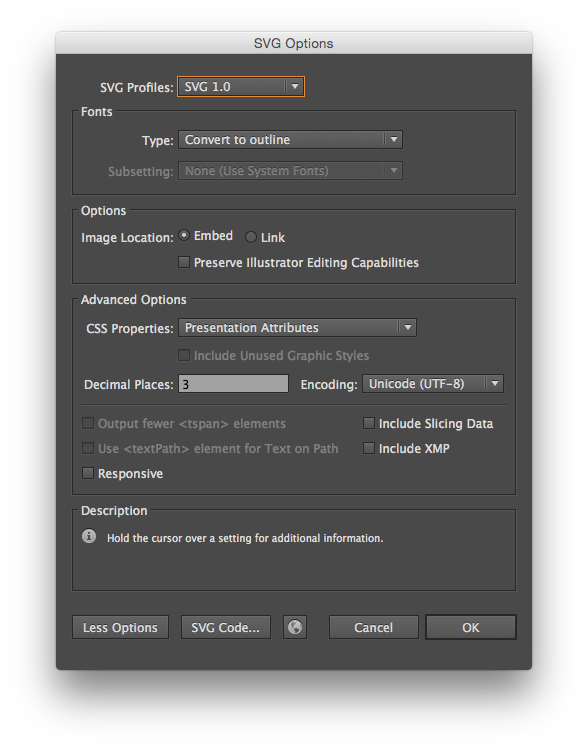 Copy and paste it into a new document using the Web profile so there's a pixel grid and RGB color settings. There are three sizes of unit signature: small (32 pixel logo), medium (48 pixel logo), and large (64 pixel logo). Now we need to make the sprite image for the unit name. We already have assets for the logo and wordmark. Note: The max-width of a unit name that fits on an iPhone 5 screen is 245px. You may need to request an alternate version of the unit name with different line breaks for small screens if your artboard exceeds this width. Please contact identity@missouri.edu to request one to be made. Double the height of the artboard, and duplicate the unit name so it occupies the same position on the lower half of the artboard. Change the color of the second unit name to #900000. Save for web as a PNG-24 file. Save a copy ... as an SVG file. To work with the unit signature mixin, unit name images must be named in a consistent way. $color is black or white. $size is small, medium or large. Separate the variables with hyphens. Place in the images folder with the other signature art files. The top unit name should be set to #ffffff. The bottom unit name should be set to #f1b82d.